History Time Line is an add-on for SuiteCRM, which helps you to keep track of key business events and gives you the means to specify what exactly constitutes a key business event for your company. Modern UI, support any device. Once installed it helps to benefit TimeLine Viewer faster by collecting preconfigured Key Events. Many feature will implement in the future. Bellow is screenshot of UI and video demo. Hope this add-on will helpful for your business. If you need more feature, please create new request. We will review and development to add-on become more and more perfect and help the community using suitecrm. All features will able in the future and bugfix will free for all user buy this package. 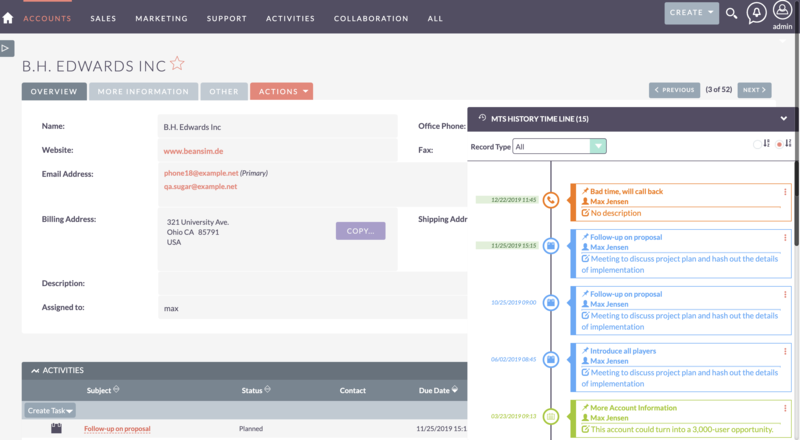 Display history as timeline included 4 modules: Calls, Meetings, Tasks, Emails, Record Change Log. Filter by one of modules or show all.